SEATTLE – As if having a heart attack isn’t bad enough, cardiologists know that the worst damage may actually occur after it’s over. 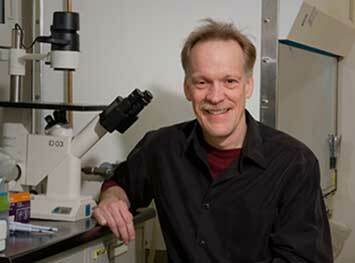 “I am as encouraged as anyone could be,” said Mark Roth, Ph.D., of his findings. Blocked arteries are typically the trigger, stopping the flow of blood and starving the heart muscle of oxygen. But when the blockage is removed and the blood comes rushing back, it wreaks havoc of its own. The result is called reperfusion injury, a life-threatening flood of inflammation and cellular destruction that has stumped scientists for 40 years. Now, however, a potentially groundbreaking study by Fred Hutchinson Cancer Research Center scientists, published online today in the journal PLOS ONE, suggests that the worst effects of reperfusion injury may be prevented with a safe, simple solution: a dose of iodide, a chemical form of the element added to ordinary table salt. “If this turns out to be positive, it could transform medicine and the leading cause of death in the Western world,” said Mark B. Roth, Ph.D., the Fred Hutch cell biologist whose lab came up with the new technique. When mice with induced heart attacks were given intravenous infusions of sodium iodide five minutes before reperfusion, it reduced myocardial infarction, or MI, damage by as much as 75 percent. And when mice were given sodium iodide in their drinking water for two days before the procedure, they showed similar significant protection against the damage. That’s the latest finding from Roth, the 2007 MacArthur Foundation “genius” grant recipient best known for his work using hydrogen sulfide to induce a state of reversible suspended animation in mice and other model organisms. The ultimate goal of Roth’s research in metabolic flexibility is to reduce the need for oxygen and potentially buy time for trauma patients before they can get definitive care. The technique is still a long way from being used in the 720,000 Americans who suffer heart attacks annually, or in helping the 600,000 in the U.S. who die of heart disease – the top cause of death – each year. The extent of harm from reperfusion injury in humans is hard to estimate, but in animal models, it may account for up to a third of the damage from a heart attack. But if the protective effect of the iodide infusions and oral iodide shown in mice is borne out in other animal models – and, eventually, in people – it could eventually change how doctors treat heart attacks and conduct cardiac-bypass procedures. Rakesh Kukreja, Ph.D., a member of the operations committee of CAESAR, the National Institutes of Health’s Cardioprotection Consortium, said he was “very impressed” with Roth’s findings. The study by Roth and his laboratory associates, Akiko Iwata, Ph.D., and Mike Morrison, Ph.D., provided a thoroughly researched and documented potential solution to the longstanding paradox of reperfusion injury, Kukreja said. “Even today, after 40 years of research and spending billions of dollars of NIH money, there’s no accepted method of reducing infarct size,” he said, referring to the area of cardiac muscle tissue damage caused by a heart attack. In addition to confirming the effect of iodide on reperfusion in other preclinical models, scientists need to nail down exactly how the element works. In their paper, Roth and colleagues suggested that iodide might function via thyroid hormone. “ … The benefit of iodide may be conferred by depressing thyroid hormone production and as a result decreasing cardiac metabolism that is linked to reperfusion injury,” the authors wrote. In contrast, they found that iodide didn’t have the same protective effect in mice with depleted thyroid function. The U.S. government’s Defense Advanced Research Projects Agency, or DARPA, funded the study. Heart attacks are such a significant public health problem that federal officials have supported Roth’s research into the area, which started him thinking about using elemental reducing agents to prevent reperfusion injury. Iwata and Morrison tested the procedure on dozens of mice during the past two and a half years. Iwata, an expert in animal models of human injuries, said even she was taken aback by the findings. Roth and Morrison said there are other elemental reducing agents such as iodide in what they call the “southeast corner of the Periodic Table” that can reduce reperfusion-injury damage. These include sulfide, bromide and selenide. But only iodide boasts a superior safety profile. Even in large quantities, iodide is very safe, they noted. And it’s already approved for human ingestion – and widely available. “You can buy it on Amazon right now,” Roth noted. No one can say at this point how soon the iodide could – or would – proceed to trials in humans. Roth cautioned that it’s far too early for people with heart problems to start popping iodide before surgery. Roth said the Seattle biotech company he started, Faraday Pharmaceuticals, is moving the work forward. With further research, the promise of dramatically reducing reperfusion injury in people could become a reality, he added. Editor’s note: To obtain a copy of the PLOS ONE paper, “Iodide protects heart tissue from reperfusion injury,” or to arrange an interview with Roth, please contact Kristen Woodward at kwoodwar@fredhutch.org or 206-667-5095. This news release is based on an article by Fred Hutch News Service writer JoNel Aleccia. At Fred Hutchinson Cancer Research Center, home to three Nobel laureates, interdisciplinary teams of world-renowned scientists seek new and innovative ways to prevent, diagnose and treat cancer, HIV/AIDS and other life-threatening diseases. Fred Hutch’s pioneering work in bone marrow transplantation led to the development of immunotherapy, which harnesses the power of the immune system to treat cancer with minimal side effects. An independent, nonprofit research institute based in Seattle, Fred Hutch houses the nation’s first and largest cancer prevention research program, as well as the clinical coordinating center of the Women’s Health Initiative and the international headquarters of the HIV Vaccine Trials Network. Private contributions are essential for enabling Fred Hutch scientists to explore novel research opportunities that lead to important medical breakthroughs.